With premium bathroom furnishings and a diverse selection of auxiliary and other equipment in different colours, we make planning functional and comfortable sanitary facilities easy. 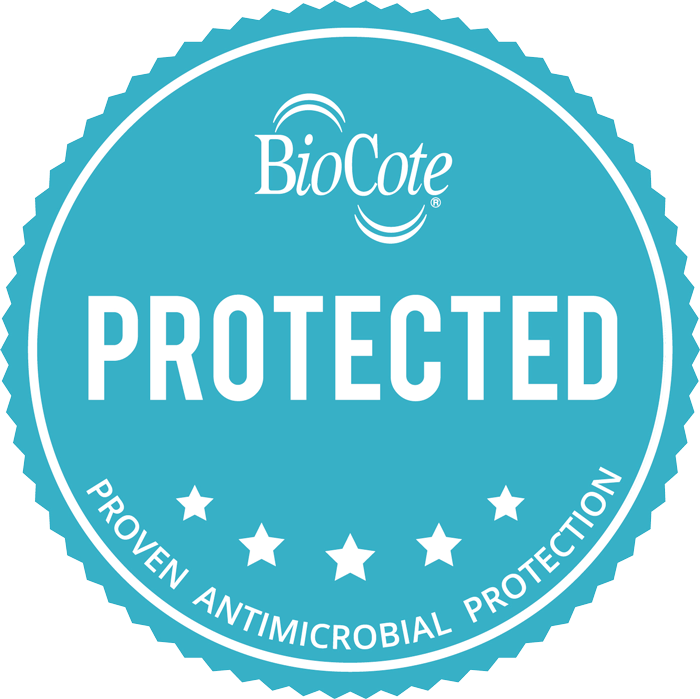 BioCote® treatment ensures the highest level of protection against microbes for the entire functional lifespan of our products. Our antimicrobial basins are made of a durable composite material and cultured marble. Antimicrobial hand and support rails with an elastomeric coating serve as complementary protection. The accent colours in Gaius products, such as those on hand rails and shower seats, facilitate spatial perception. Our range provides a colour selection of red, grey, and yellow accents to contrast the white products. The lighting fixtures on our Gaius products provide a soft yet sufficiently bright light that mimics natural sunlight. Our colour combinations serve to ensure your safety, whilst providing an aesthetically pleasing environment to operate in. Hand holds, non-slip support rails, and shower seats make washing up safe. The integrated ESD-protection in our products blocks electrostatic discharge and thus prevents damage in electronic devices. Magnetic locks on our cabinets provide protection for your care equipment and instruments, where they are accessible only by authorised users. We have created a comprehensive guide for the application of our products. Object libraries, RT-cards and design guidelines and templates. You can familiarize yourself with Gaius solutions in our bathroom showroom. We have multiple completely furnished bathroom settings as well as a wide selection of ancillary items and accessories for decorating and furnishing bathrooms and toilets on display in the showroom. You can also book our showroom truck for a visit at your desired location. We have Gaius Original, Gaius Hospital solutions and other products and equipment such as the height-adjustable toilet seat and new composite Sense-basins on display in the truck.